Calling on all Fashion Entrepreneurs! Attend ‘The Unveil 2016’ fashion and exhibition show. The next largest fashion and exhibition show in Nigeria is here. 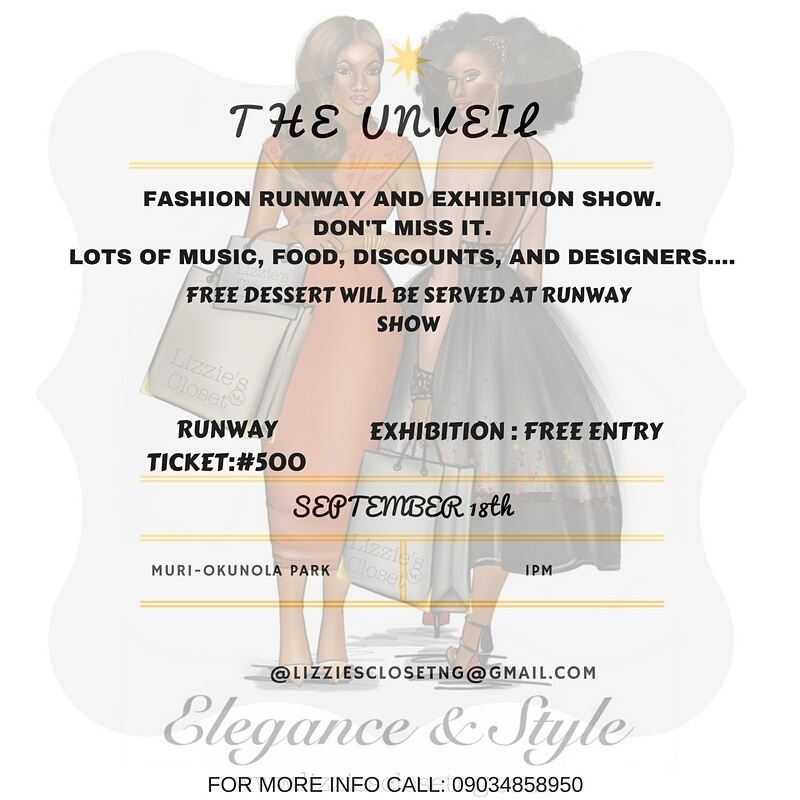 Are you a Fashion designer?, would you like to showcase your designs on our runway and exhibit them for sale at our exhibition? Are you a vendor? would you like to showcase your products for sale at our exhibition on the 18th September 2016 at Muri-Okunola Park, Victoria Island beside Law school. Or call 09034858950 for more Information.